What’s the first thing you say when someone asks you, how are you? My reply is always the same as I learned it from Les Brown years ago to say, I am great and grateful as every day above ground is a great day. My Tai Chi instructor Angie said yesterday during my class that we should be thankful that we woke up by ourselves today and that no one had to wake us because we never woke. Hard hitting sentiment indeed! 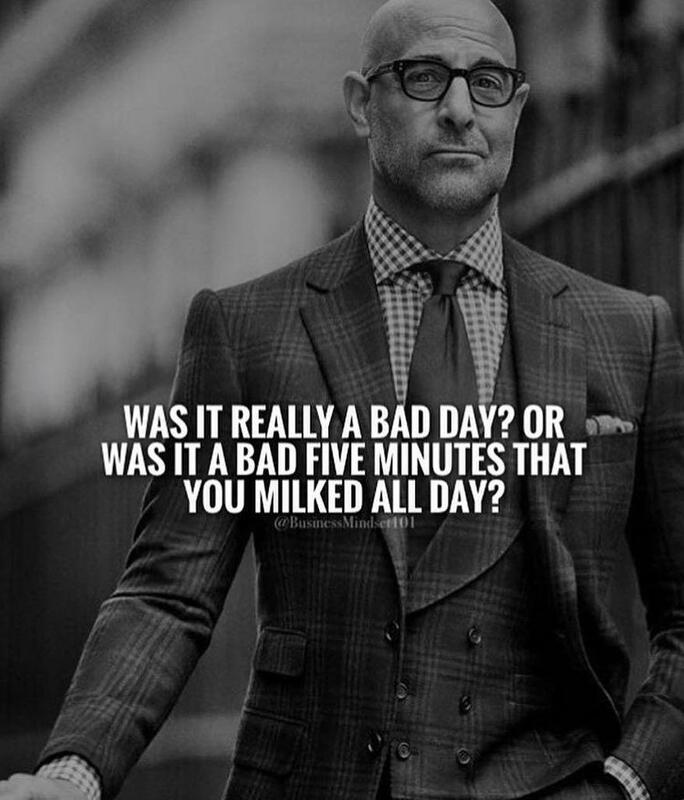 Yes we all have days where a bad moment can make us think we have had a bad day. Is it that easy though to let one bad moment spoil a bunch of good ones? Sometime a moment in patience during a moment in anger can save you a hundred moments of regret, so don’t let things get to you so easily. It may be easy for me to say but, you versus you will always be your biggest fight, what hurts you today, makes you stronger tomorrow. Always remember, nothing worth having, ever comes easy.